Being able to feel the ground during running via minimalist running shoes helps improve sensory processing in the foot, ankle, knee and hip joint and in the central nervous system, which in turn improves movement coordination and motor efficiency. The nerves in the bottom of the feet also processes information about ankle, knee, and hip joint position and also processes information about posture which helps improve reflex coordination. So, as you can begin to notice, the nerves in the feet have a vital role in safe running. With that said, its important to NOT disrupt sensory processing in the feet. 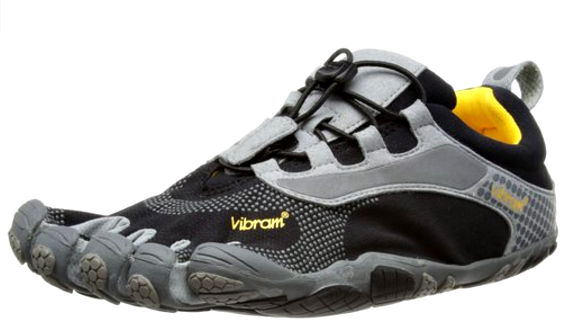 This is why I love the Vibram FiveFingers Bikila LS so much! Because of its topnotch durable outsole and comfort, the Vibram Five Fingers Bikila LS is a magnificent minimalist shoe for the marathon. 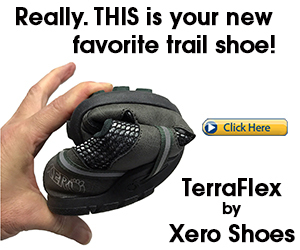 But how would these shoes prevent you from getting injured during a marathon? 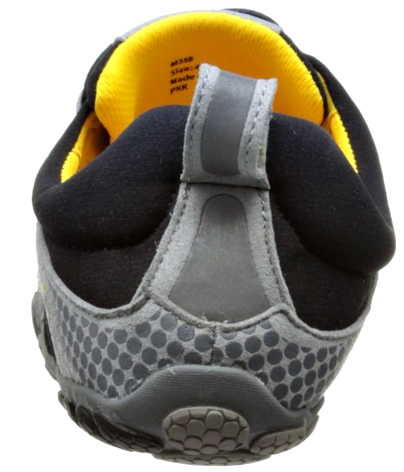 The thin outsole forces you to be more consciously aware of your forefoot strike, allowing you to keep more stable control over your form, preventing it from breaking-down during a marathon –this is how barefoot-simulated footwear, like the Vibram Bikila LS, are very reliable in helping you avoid common injuries, such as a knee injury from running. Because the Bikila LS lack support and stability, they are great for strengthening your feet, calves and body posture. More specifically, they have great strengthening power for your feet by forcing your feet to work independently and adapt to new environments, gaining strength and with this, they help you retain foot strength, too. Overall, the Bikila LS is extremely flexible, can be worn for trail running and they are also grippy on wet and icy surfaces, so they can be worn in cooler temperatures. Provides good grip, similar to the TrekSport. 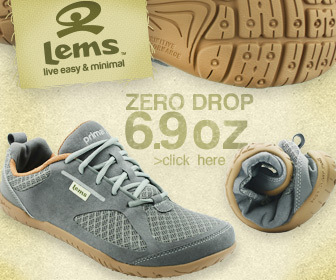 Closed lacing system accommodates a wider in-step and a wider range of foot types. Thicker outsole provides comfort when stepping on something unpleasant! 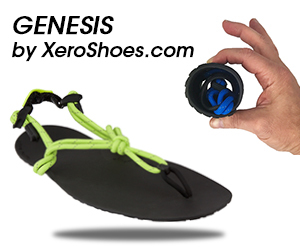 Great for transitioning from heel striking to forefoot striking. Feels great with or without socks. Durable upper mesh that is made of Coconut Active Carbon for more breathability. The stitching is pretty solid. The barefoot like nature of the Bikila LS allows you to develop stronger feet and ankles, which will help correct for biomechanical abnormalities during running, including ways (i.e landing on the forefoot) that lessen impact forces. One more note on the Bikila LS, make sure you go one size up for the best fit. Unfortunately, I hate to announce that the Bikila LS has been discontinued. Thankfully, the shoe has been replaced by the V-Run, which is essentially a lighter version! You’ll love it. See here for my V-Run review! If you’ve enjoyed this review, you’ll love my other analysis’s of forefoot running footwear. Knee Pain From Running – Find out how heel strike running leads to osteoarthritic knees across time. Forefoot Running Shoes – Read my reviews on the best barefoot like shoes for forefoot running. Overpronation – Learn how to avoid overpronating with this simple suggestion! The Role of the Achilles Tendon in Forefoot Running – Learn how forefoot runners use the Achilles tendon to their advantage. Why Take Smaller Steps – Learn why shortening your stride during forefoot running takes load off the hips and knees. Don’t Over-Think How You Run – Understand why it’s important to avoid the pitfall of obsessing over your mechanics while you run.